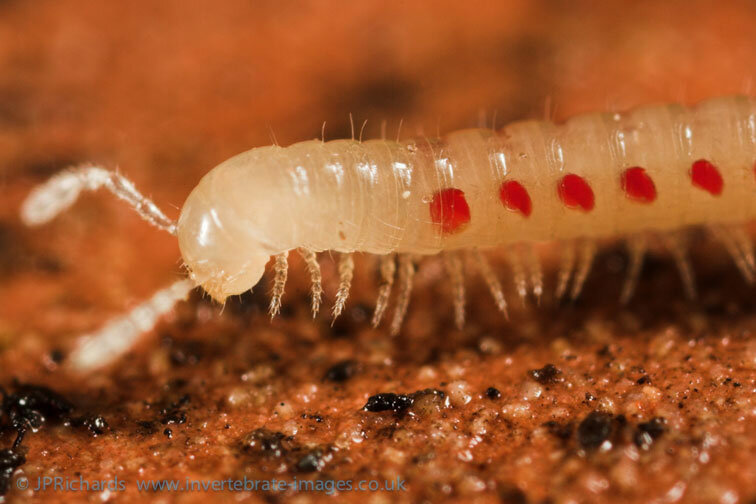 Live specimens are easily recognisable, being a pale cream colour with contrasting scarlet ozadenes along the sides of the body. It is blind, completely lacking ocelli. 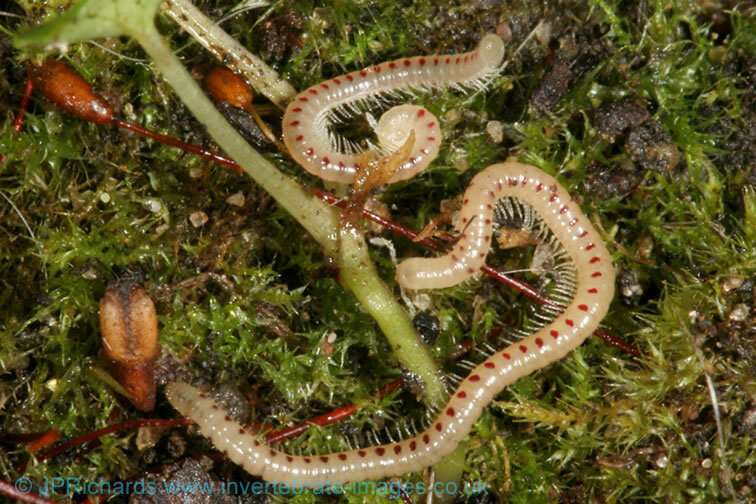 Confusion is most likely with the two other blind Blanulids Archiboreoiulus pallidus and Boreoiulus tenuis, which both have orange ozadenes. 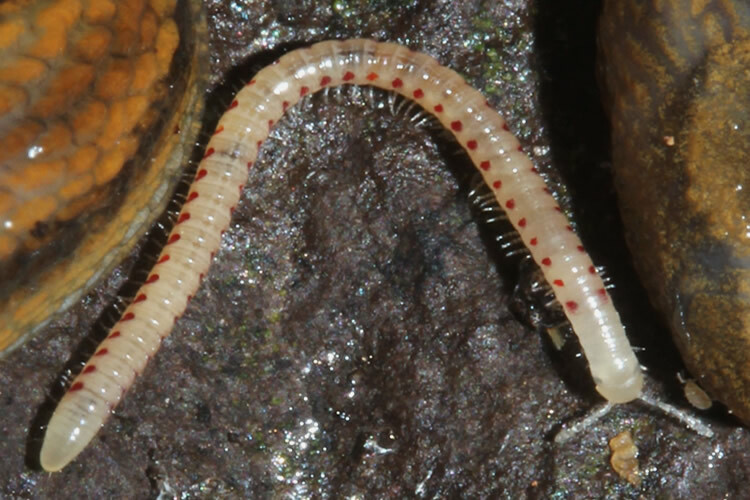 Julid millipedes, such as the blind Cylindroiulus vulnerarius, are much more robust and lack the contrast in body and ozadene colour. This is a widespread and common species throughout much of Britain and Ireland but is apparently scarce in the extreme north west of Scotland. Analysis of the recording scheme's habitat data suggests a very strong association with cultivated land and with synanthropic sites including gardens and churchyards. A strong association with waste ground is also suggested. Despite being the most frequent habitat category recorded for this species, the analysis suggests a strong negative relationship with woodland. In contrast Kime (2004) considered it may be a natural component of the woodland fauna on calcareous, loamy soils in Belgium. Although not strong, analysis of the environmental data does provide some support for a link with calcareous loams. In Europe the species is widespread in the Atlantic zone and north central Europe but there are only scattered records further south and east (Kime, 1999). 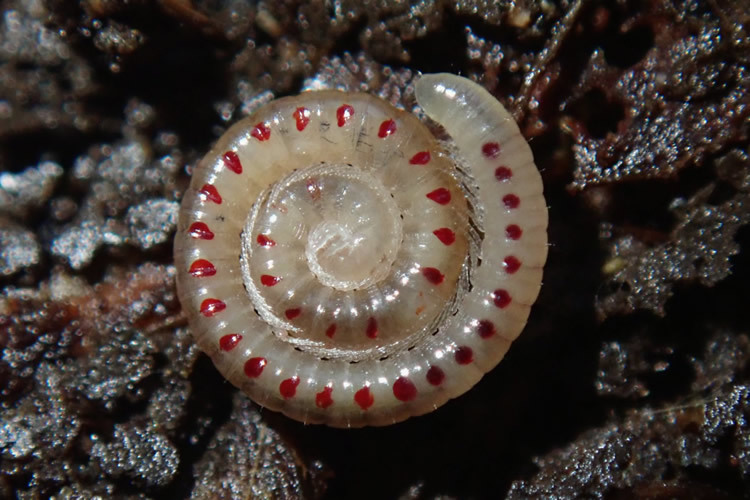 It is a synanthropic species that has been introduced to North America and islands in the Atlantic Ocean (Blower, 1985) and is well known as a pest in agricultural and horticultural systems. 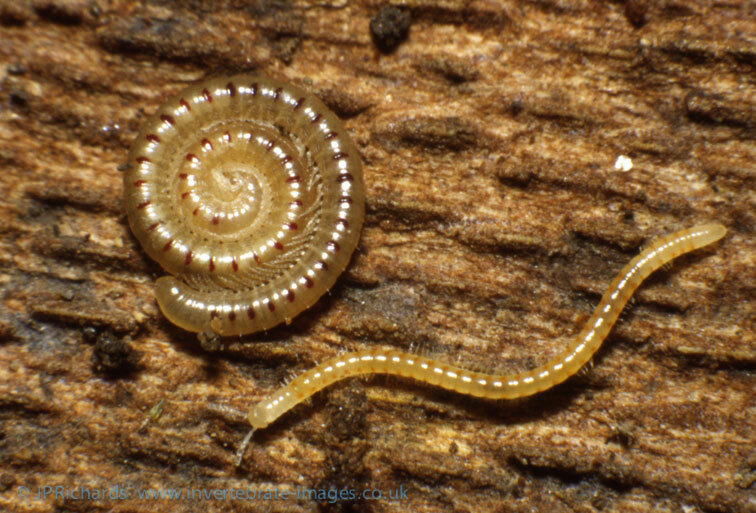 Brookes and Willoughby (1978) found that the young millipedes take four years to reach maturity. Adults have been found throughout the year but most frequently in the spring and again in autumn. They are harder to find in winter as falling autumn temperatures cause them to move deeper into the soil until temperatures rise again at the end of winter (Pierrard, Bonte & Baurant, 1963).